Da Capo Press, 9780306823534, 288pp. 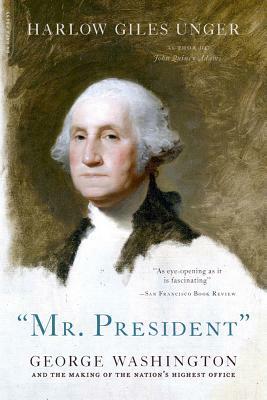 In this startling look at the birth of American government, award-winning author Harlow Giles Unger shows how George Washington transformed the presidency from a ceremonial post into the most powerful office on earth. Washington combined political cunning, daring, and sheer genius to seize ever-widening powers and impose law and order on the young nation while ensuring individual freedom for its citizens. An accalimed historian, Harlow Giles Unger is a former Distinguished Visiting Fellow in American History at Mount Vernon and the author of twenty books, including ten biographies of America's Founding Fathers and three other histories of the early republic. He lives in New York. [A] thoroughly researched and delightfully written book.